Born in Dallas, Texas, Barron Storey (b.1940) is a visionary artist who has studied at the Art Center School in Los Angeles and at the School of Visual Arts in New York. His award-winning artworks have appeared on the covers and pages of Time, National Geographic, Saturday Review, and Reader’s Digest, among many others, and are among the collections of the National Air and Space Museum, the American Museum of Natural History, and the National Portrait Gallery of the Smithsonian Institution. A gifted and influential teacher, Storey has taught aspiring artists at the School of Visual Arts, Pratt Institute, and currently, at the California College of the Arts, and San Jose State University. Multi-talented, he is also a musician and a playwright who encourages diverse approaches to personal expression. Several noted illustrators have been among his students, including Peter Kuper, Bill Sienkiewicz, and Daniel Clowes. 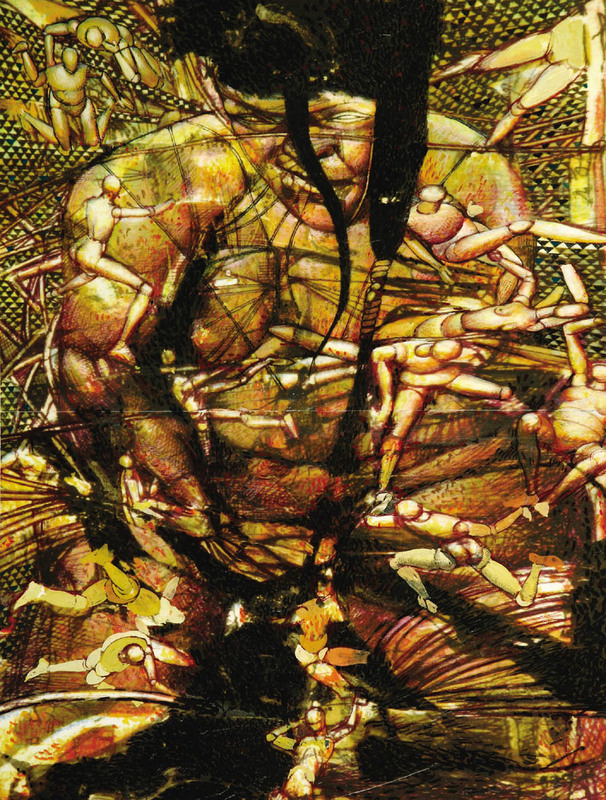 Storey’s illustrations for Neil Gaiman’s The Sandman: Endless Nights showcase powerful vignettes on the subject of despair. Since 1976, Storey has created more than 145 visual journals. Dooley, Michael and Steven Heller. The Education of a Comics Artist: Visual Narrative in Cartoons, Graphic Novels, and Beyond. New York: Allworth Press, 2005. Gaiman, Neil, Barront Storey, and Bill Sienkiewicz. The Sandman: Endless Nights. New York: DC Comics, 1991. Storey, Barron. Life after Black. Belgium: Graphic Novel Art, 2007. Storey, Barron. The Marat/Sade Journals. Northampton, MA: Tundra Publications, 1993.